Now, as much as we like Brass around these parts, we like The Shinolas infinitely more (our mathematics expert came up with a formula to describe this, but he made the mistake of writing it on the back of the office copy of Beatroute, which someone threw on the fire last night). 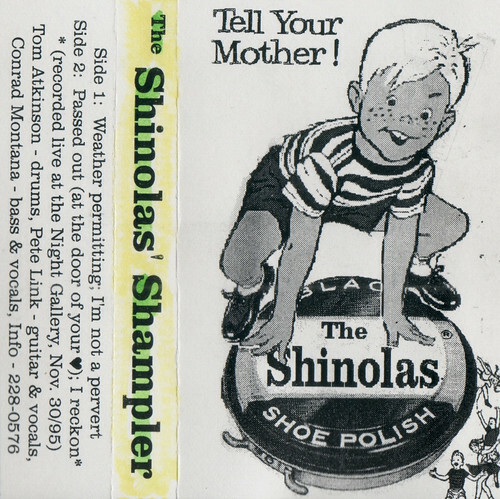 This four song tape adds to our ongoing fascination/obsession with this garage rock trio. Most notable is "Passed Out (at the Door of Your Heart)," which alone is worth the price of admission. Which, in these parts, is free.